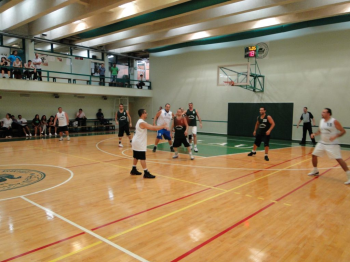 The Alumni Relations Office organized a basketball game on Friday May 14, 2010 at the Beirut Campus, between Beirut Alumni /Varsity Team and Byblos Alumni /Varsity Team. Alumni and friends enjoyed a good game. The victory was snatched by the Byblos Alumni /Varsity Team. In all cases, congrats to LAU!